Jadhav, 47, was sentenced to death by the military court in April last year. Pakistan claims that its security forces arrested Jadhav from its Balochistan province on March 3, 2016, after he reportedly entered from Iran. India denies all charges. India moved the International Court of Justice (ICJ) in May last year against the verdict. The ICJ halted his execution on India’s appeal pending the final verdict by it. Dawn reported quoting an official that Jadhav has multiple cases against him in which he had been indicted on terror and sabotage related charges. The cases are progressing, the paper quoted the official saying. 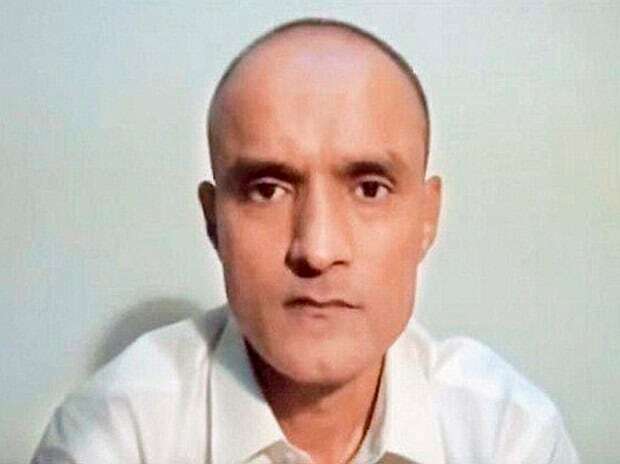 He said only the spying case against Jadhav has been concluded out of the multiple cases against him. The paper quoting a source also said that Pakistan on a number of occasions had sought access to 13 Indian officials to ascertain information in the case. But New Delhi has remained stubbornly uncooperative, the paper said. The Pakistani source did not disclose the names of the 13 Indian officials that the government wants to quiz. He, however, said: “We want to reach Jadhav’s handlers”. Besides, Pakistan has sought information about his Navy service file, bank record of his pension payment, and issuance of the passport in the name of Mubarak Hussain Patel, the paper said. Pakistani officials want to know how the passport in the name of Patel was issued and whether it was original or fake. Particulars of Jadhav’s properties in Mumbai, Pune and other parts of Maharashtra, which he had acquired in Patel’s name had also been demanded, the paper quoted the source as saying. The ICJ is currently hearing an Indian petition challenging Pakistan’s refusal to grant consular access to the alleged spy.